Just a reminder to those flutists (and their teachers) who are between 12 and 28 and are looking for opportunities to play in exciting Youth Orchestras. The National Youth Orchestra of Canada hold auditions for their fabulous orchestra each year, and you have to start preparing a year in advance. Applications are due in December of each year for the following summer. So if you'd like to start learning the repertoire and techniques, start now. 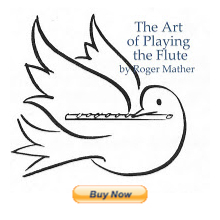 The sheetmusic for flute auditions, the orchestral excerpts and list are here. Oh, gorgeous. Hmm, I'm 15, so I still have 13 yearss!!! Cool!